DAVID L. WELCH, LG joined Argus Pacific in 2015 as an occupational health and safety instructor from RGA Environmental. He teaches in a wide variety of classes including: asbestos abatement and supervision, asbestos building inspector, asbestos management planner, asbestos project designer, asbestos operation and maintenance, hazardous waste operations, hazard communication, lead hazards in construction, lead renovator, lead inspector and lead risk assessor. Before joining Argus Pacific, David was a health and safety consultant and part-time instructor with several firms in the Seattle area and has a broad, 20+ year background in the environmental and industrial hygiene consulting field. His experience includes: serving as asbestos project design manager for a major railroad client; conducting numerous Phase I and II ESAs, leaking underground storage tank investigations, air monitoring oversight for asbestos and other airborne contaminants, employee exposure assessments for industry, and indoor air quality investigations for mold and water intrusion. David has a special interest in asbestos-contaminated vermiculite sourcing from Libby, MT and has conducted numerous projects for clients with asbestos contaminated vermiculite in building materials and soils. 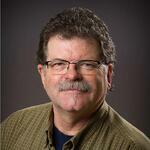 Mr. Welch is a Washington State licensed geologist, and a NIOSH 582-trained microscopist. David holds a Bachelor of Science degree in Geology from Western Washington University.